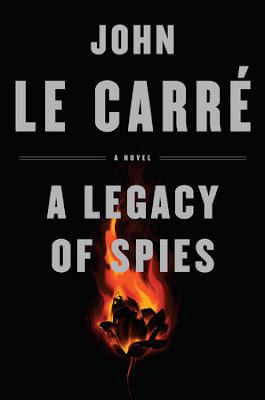 Viking Books has announced the publication of a new novel by John le Carré. Due to be published on September 7, 2017, A Legacy of Spies is the first novel in over 25 years to feature George Smiley, le Carré’s most beloved character. Peter Guillam, staunch colleague and disciple of George Smiley of the British Secret Service, otherwise known as the Circus, is living out his old age on the family farmstead on the south coast of Brittany when a letter from his old Service summons him to London. The reason? His Cold War past has come back to claim him. Intelligence operations that were once the toast of secret London, and involved such characters as Alec Leamas, Jim Prideaux, George Smiley and Peter Guillam himself, are to be scrutinised under disturbing criteria by a generation with no memory of the Cold War and no patience with its justifications. A Legacy of Spies will be published by Penguin Random House.